We can aim for the beautiful reflection on Karikomi Pond in the early morning. 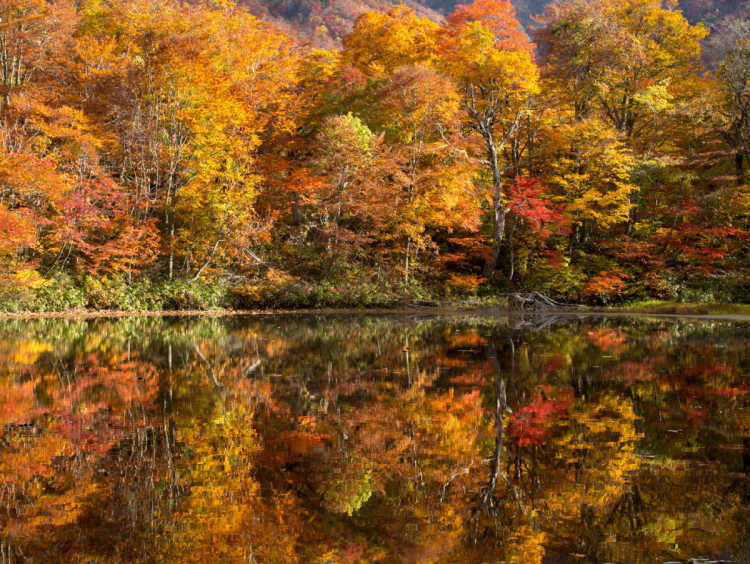 The lively autumn colors around the pond, and winter mountain presence above it. 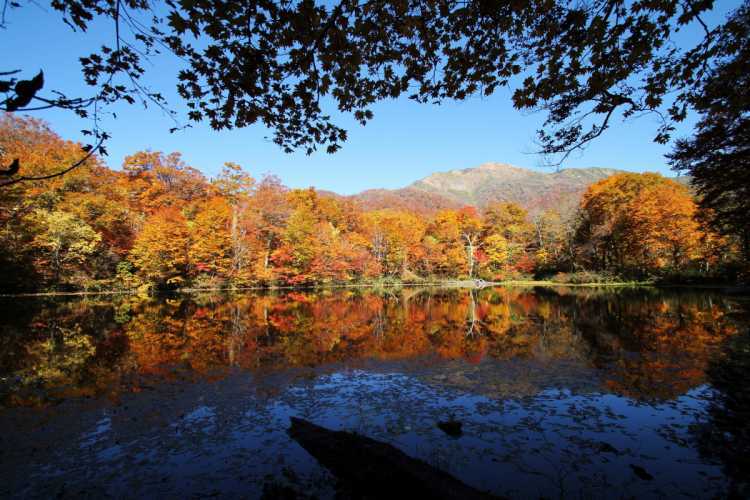 Though it needs a little walk, you can enjoy both beautiful water-mirror and change of seasons at this photogenic pond!◎50 min trekking is required from the parking area. The roadway is narrow and there're some cars parking on the roadsides, so driving beginners should use taxi. Best viewing season is between the end of October and the beginning of November. After you enjoy a light trekking, a breathtaking beautiful scenery of colorful foliage waits for you.